Mr. Leonides Fausto, owner of the LNF Integrated Farms in Lakambini, Tuao, Cagayan receives his Learning Site certificate. Seven farms from the different parts of the region have been added to the partners of ATI as Learning Sites for Practical Agriculture. 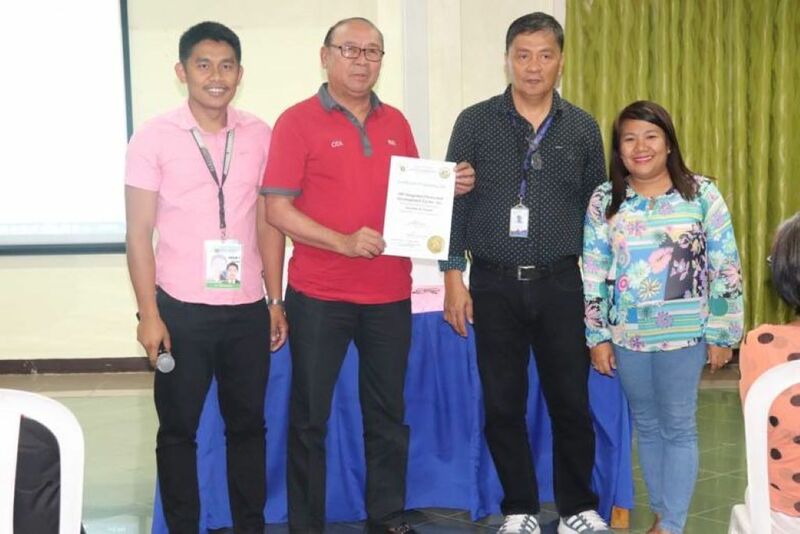 In the Isabela, the GENRAM Farms and Angela’s Farm received their Learning Site Certificate last January 16, 2019 during the launching of Roberto’s Farm School in Alibagu, City of Ilagan. GENRAM Farms is located at Sisim Abajo, Tumauini, Isabela and owned by Mr. Benito G. Ramos III. It is an integrated-diversified farm. Moreover, the Angela’s Farm is another integrated-diversified farm in Alibagu, City of Ilagan. Meanwhile, Mr. Wilfredo D. Loresto of Willy’s Integrated Farm received its certificate during the ATI 32nd Anniversary Celebration on January 28 at ATI-RTC 02 San Mateo Center, San Mateo Isabela. The farm is located at Holy Friday, Mallig Isabela and practicing and integrated-diversified farming system. Also, the Isabela Permaculture Development Center/ Ale-Ale Eco Farm in Alibagu, City of Ilagan is now an accredited Learning Site of ATI-RTC 02. Isabela Permaculture Development Center is a non-profit organization promoting local sustainability that holds the core of a network of communities aiming for sustainable development. In the Province of Cagayan, the LNF Integrated Farms of Lakambini, Tuao owned by Leonides N. Fausto and The Garden of Eden Farm and Recreation Center owned by Eden B. Abana in Alimannao, Penablanca received their certificate last January 25. In addition, the M. Belmonte’s Farm of Merlita C. Belmonte at Villa Pagaduan, Aglipay, Quirino was accredited effective December 18, 2018. The accreditation issued to the LS cooperators is effective for five years. Leaning Sites serve as a venue for successful farmers to share their technologies worth emulating. They are ATI’s partner in the implementation of training and extension interventions grounded on principles of farmer-to-farmer learning, learning-by-doing, and actual experience.